Now reading: Perfectly Crunchy & Delicious Homemade Matcha Cookies! Perfectly Crunchy & Delicious Homemade Matcha Cookies! One of my favorite treats is a crunchy, yet soft and fluffy Matcha cookie -- crispy on the outside with sweet caramelization and soft and warm on the inside. 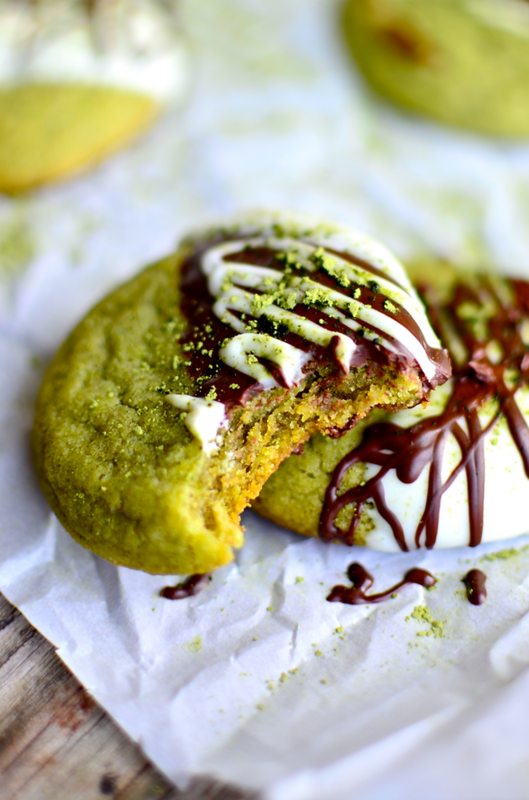 The Matcha cookie is deliciously nutty and earthy and pairs well with a warm cup of Matcha! Take a twist on the traditional chocolate chip cookie dunked in milk with a delicious Matcha cookie dunked in a Matcha latte! Quick And Easy To Make -- Takes only 15 mins to bake! Only 5 Ingredients -- that you probably already have! Uses heart-healthy oat-flour & pumpkin seeds! Guaranteed to satisfy your sweet tooth! Deliciously pairs chocolate and Matcha! Want a delicious, high-quality, Matcha that will surely put a kick in your step? Our ceremonial grade Matcha is on sale, meaning that you cansave a whopping $13.00! For a limited time only, we are also having a buy 2 get 10% off your entire order exclusive discount! More for yourself or for a fellow Matcha-lover -- order double the amount for 10% less! Use SAVE10NOW at checkout!